Add Solar Charge Controller: Add Solar Charge Controller (+$59.95)No Thanks! 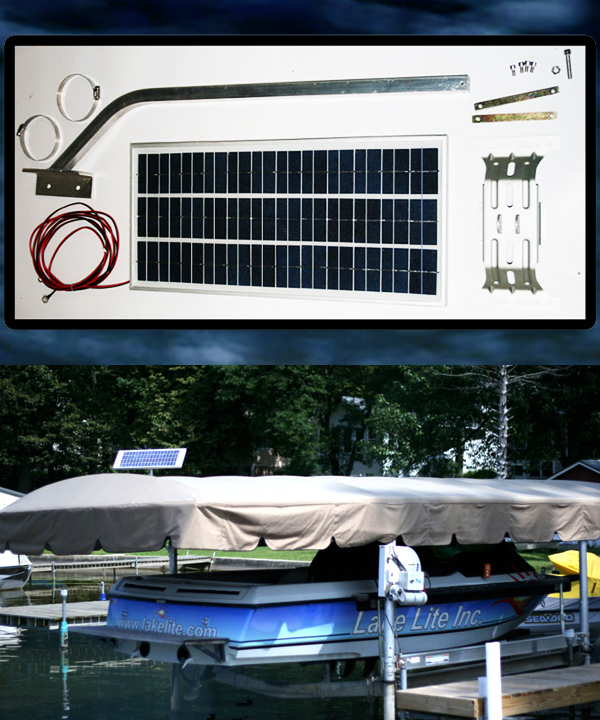 Our 20 watt 24 volt Marine Solar Charging kit is designed specifically for today’s faster and stronger dual battery 24v lift systems as well as motors and other marine equipment that works at 24 volts capacities. 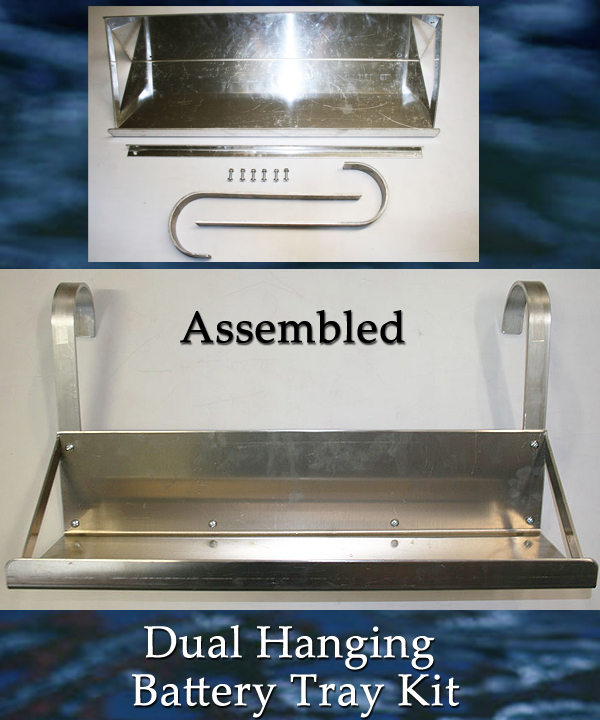 You can select this kit with no tray if one is not needed, or select either a Universal or Hanging Tray for an extra charge of $80.00. This kit offers a much cleaner and easier set up over dual panel kits: single panel design less wires, less hassle, and less mess! 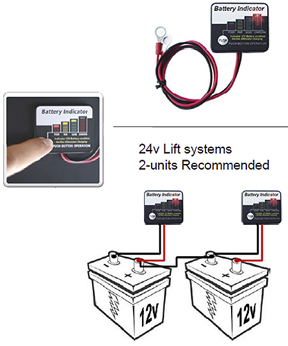 Also, our 24 Volt Lift systems are usually faster, stronger, and more efficient than 12 volt systems. 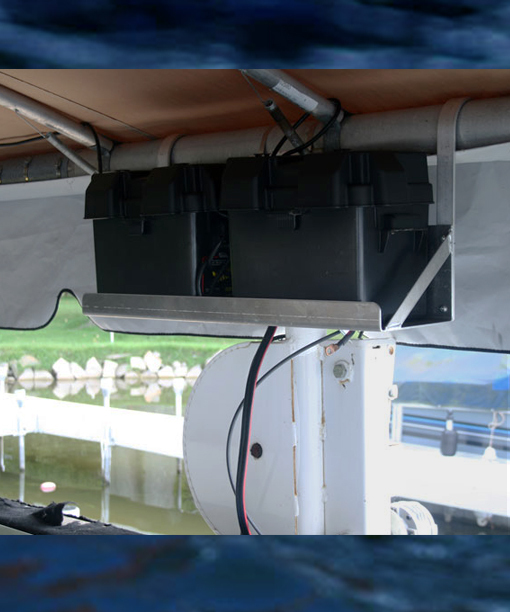 Quality components and a high quality solar panel with anodized aluminum frame (10 year manufacturer's warranty on solar panel) will keep your boat batteries in top condition so that your equipment has the battery capacity to get you on and off the water when you want. 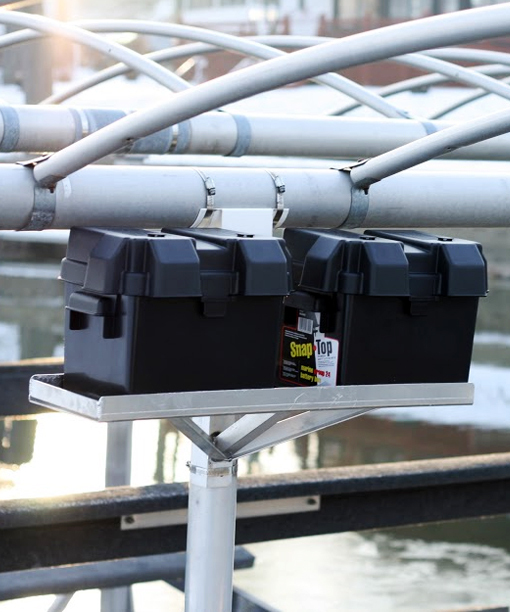 When used for boat lifts, this is recommended for weekend use, occasional week day use and medium weight boats of less than 10,000 pounds. When used on a 24 volt system, it's perfect for the daily and heavy user with light to heavy weight boats. Why Add A Solar Charge Protector? 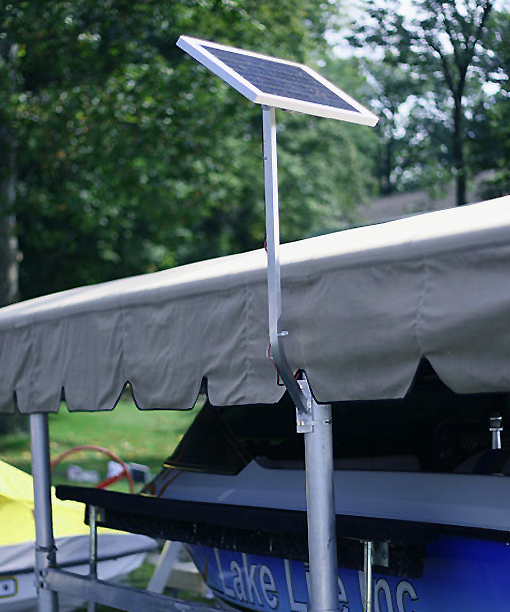 Though not included, we recommend that you also purchase a 24 volt solar charge protector, which is available at a discounted price when purchased with the 20 watt / 24 volt solar marine charging kit. Our solar charge regulators may cost a bit more than the average one you can get at most hardware, and for good reason. 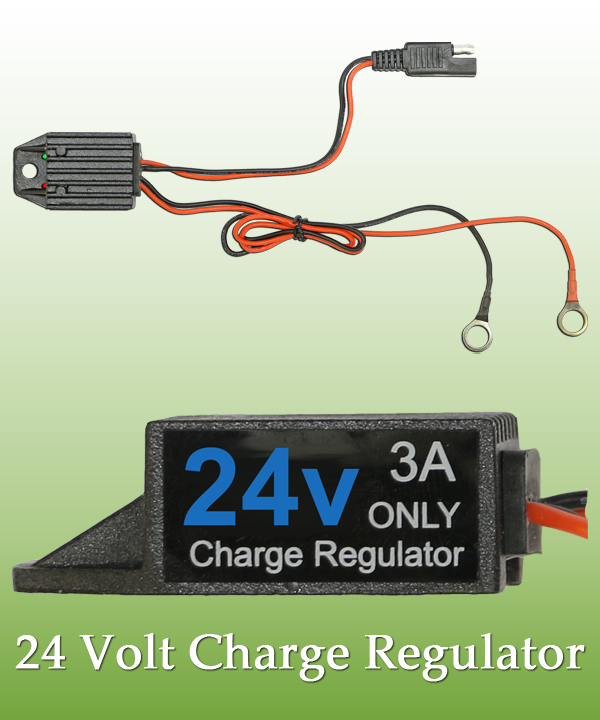 This kit is able to provide providing power so your battery is always ready, but a solar charging regulator is recommended to prevent overcharging your battery which is be possible if the battery is not used for extended periods of time. Without a solar regulator, too much solar power may be sent to the battery, potentially damaging it and connected equipment.